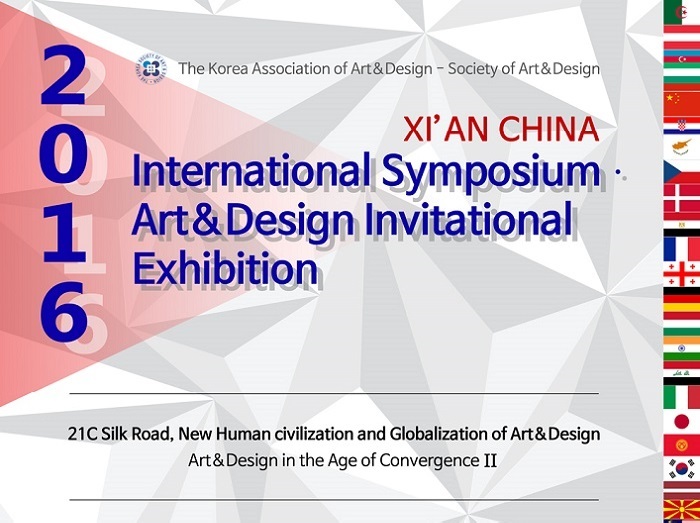 ‘2016 International Art&Design Invitation Exhibition’ is the fourth international exhibition organized by the Korea Association of Art&Design. We actively support creative artists with intellect and courage who play a leading role, constantly acting to open a door to global cultural exchanges through international academic researches and exhibitions. In particular, the exhibition is an international festival upon invitation to the international silk road art festival organized by the PRC Government, which is meaningful in that it opens a global era of art and design. ∘ Only the members who have paid the annual membership and application fees will be the candidates for selection, so please be aware that those that have not paid the application fee will be excluded. ∘ There is no fee for examination of the symposium presentation papers.